Sometimes you need to open several links in Google Sheets. But opening them separately one by one is a chore / bore. Open them all with two clicks! Open them simultaneously by right clicking and selecting Open all links option. this option stopped working on chrome and firefox for me, only works in opera? 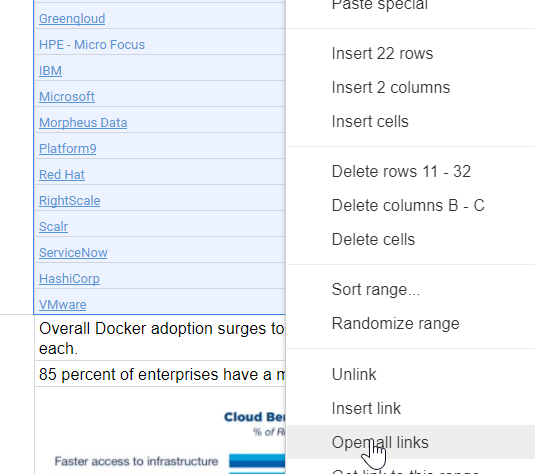 1 Pings/Trackbacks for "Open Multiple Links in Google Sheets"